The science of the Vacuum Assisted Socket System Technology (VAAS) in the Harmony Socket Enhancement System manages the volume relationship between the prosthetic socket and the residual limb. VAAS employs vacuum technology- which is greater than 15 in Hg- to help maintain consistent volume in the limb all day long. Volume loss in the residual limb is a common side effect for the prosthetic-wearing amputee that leads to an inconsistent fit, frequent prosthetic adjustments, tissue breakdown and premature wear on the prosthetic interface. Balancing volume in the residual limb, which minimizes movement of the limb within the socket. 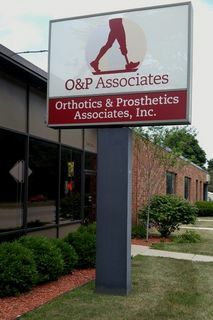 Enhancing the connection between the limb and the prosthesis for improved proprioception. Vaporizing perspiration within the socket. Reducing friction between the limb and the liner and between the liner and the socket, which prevents tissue breakdown and extends the life of the prosthetic interface. 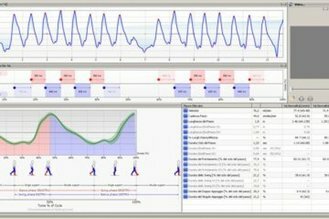 The G-Walk is a tool that allows practitioners to gain objective data analyzing gait, step length/duration and pelvic rotation. What this means for our patients is a more customized prosthesis proving a higher level of functionality and leading to better outcomes. G-Walk is an intuitive and easy to use instrument. The tests are quick to execute and do not require any preparation of the subject. The automatic report generation makes G-Walk the ideal solution for a wide range of applications: assessment, prevention, diagnosis and follow up of prosthetic intervention. 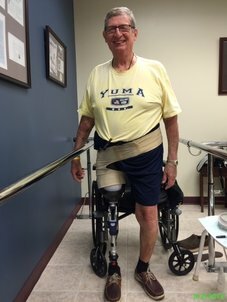 Another focus in utilizing the latest in prosthetic technology is the ability to increase the level of activity for the amputee. With the increased agility and flexibility of prosthetics, athletic activities such as jogging, biking and skiing can become a regular part of life. Jake encourages these activities and assists patients through the adjustment of limbs to the specific requirements of each sport.